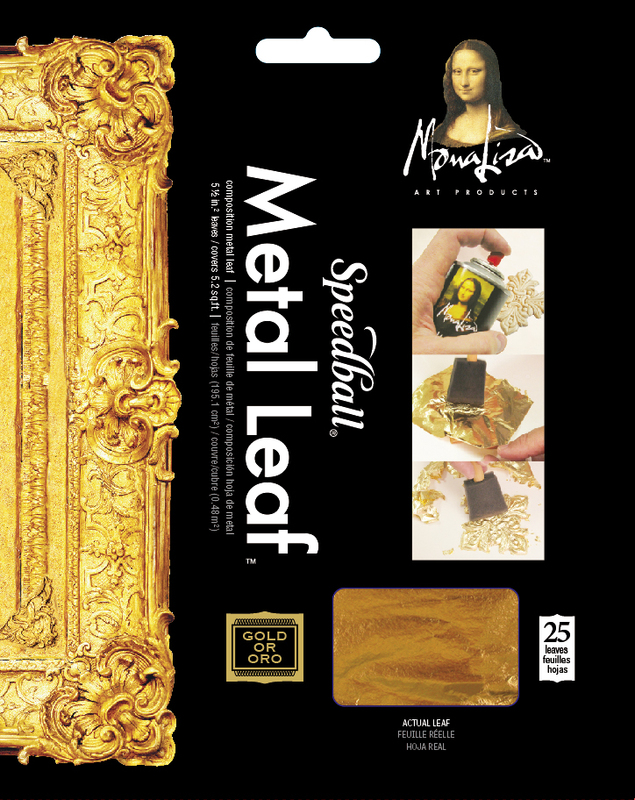 Made of 23 Karat Gold, Sterling Silver and Genuine Copper, Speedball’s Genuine Metal Leaf allows artists to incorporate precious metals into any fine art, craft or home décor project to create stunning and unique effects. Available in 25- or 500-sheet packs that featuring sheets 3.4”x3.4” in size. Mona Lisa’s Composition Metal Leaf offers a similar working experience and look to that of Genuine Metal Leaf at a fraction of the price. Available in 5.5”x5.5” sheets in packs of 25 or 500, either in Composition Gold or Silver Aluminum. This transfer-style leaf is easier to handle and apply than traditional leaf, but delivers the same lustrous results. 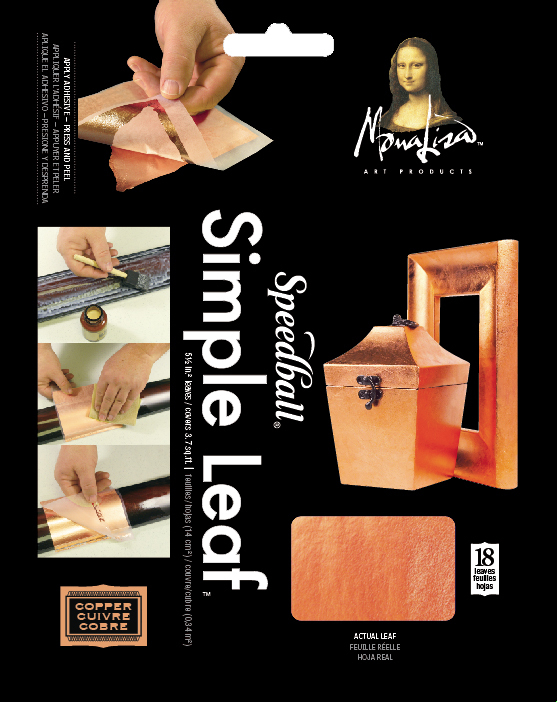 Ideal for use on flat surfaces, Mona Lisa Simple Leaf is bonded with wax paper and adheres to only the areas to which it is applied directly. This keeps waste and cleanup to a minimum, while maximizing the eye-popping results. Available in packs of 18- or 300-sheets in Gold, Silver and Copper. All sheets measure 5.5”x5.5” in size. 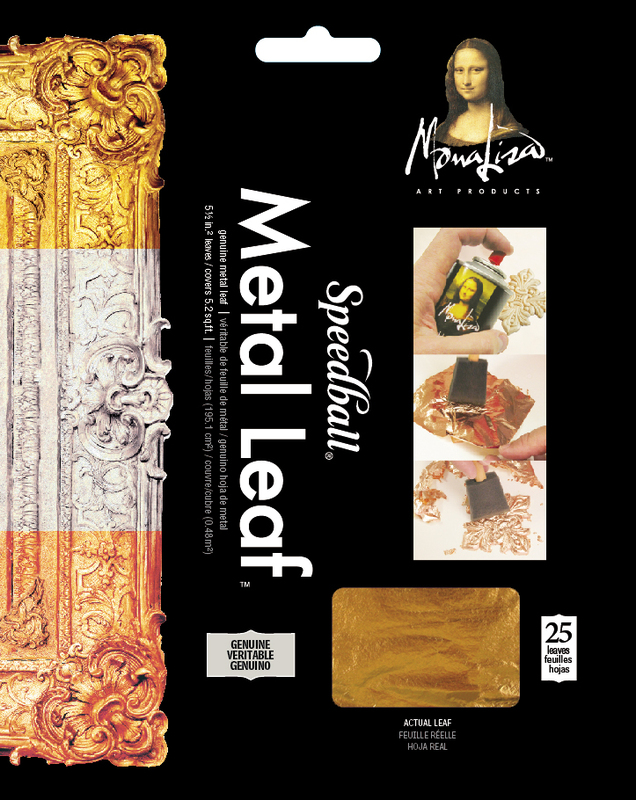 Consisting of small pieces of Mona Lisa Metal Leaf in varying shapes and sizes, Mona Lisa Metal Flakes are ideal for use on textured surfaces. 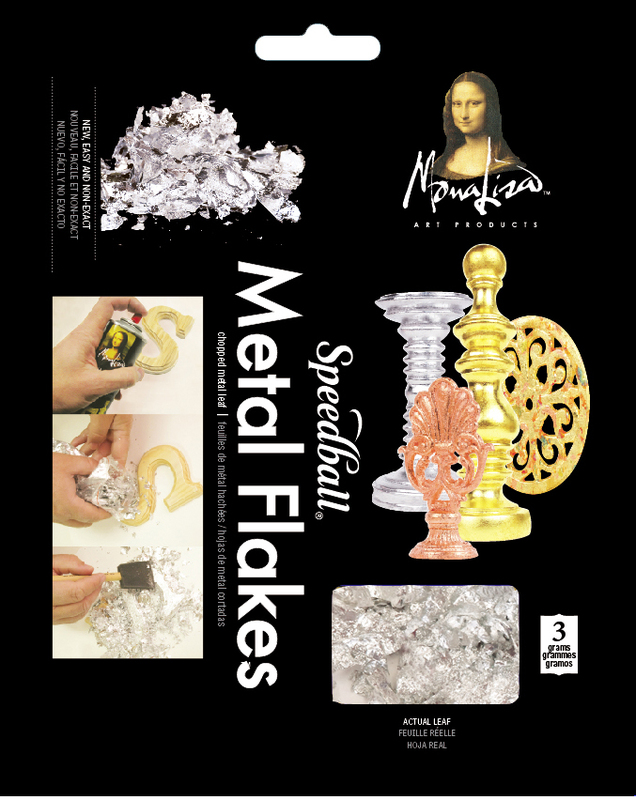 Available in 3g packages, Mona Lisa Metal Flakes are offered in Gold, Silver, Copper and a mixture.